Altess - Flevo Berry B.V. The variety Altess is an everbearing variety which growers and consumers strongly appreciate. It is an easy growing variety which combines a good taste, yield and fruit size. It brings beautiful good tasting berries which maintains its gloss after storage. Plants are easy to grow and tolerate root and leave diseases. In practise it is noticed the variety can stand flower thrips and botrytis relatively good. The variety can also stand some rain. Altess is a further development of the Flevo Berry Concept, segmented in the dayneutrals where taste is the primarily selection criteria. Dayneutrals require good cultivation conditions. To maximize its potential the best soils should be used or otherwise plants need to be grown substrates. In soil conditions there must be an open structure and any wet spots should be avoided. Raised beds have advantages regarding the soil structure and also give a better soil temperature in spring. It is important to maintain growth on plants of Altess; do not plant too dense. A density of 6-8 (bare rooted) plants per m1 is advised when grown on substrate. Make sure plants directly get active when planted; a root temperature of 7-8C is needed. Good root development in the early stage is the best assurance for plants being able to cope with hot periods later on in the season. Good rooted Altess can stand the heat good and will also help the variety to maintains its fruit size during the season. There is no particularly demand from Altess regarding feeding. When grown on substrate be careful with too strong leave pruning. A good 60-day harvest of a spring planted plant can be obtained with larger plant types like a mini trays. To pick the ‘Autumn initiated’ berries of a frigo plant it only is to be advised when grown on substrate. 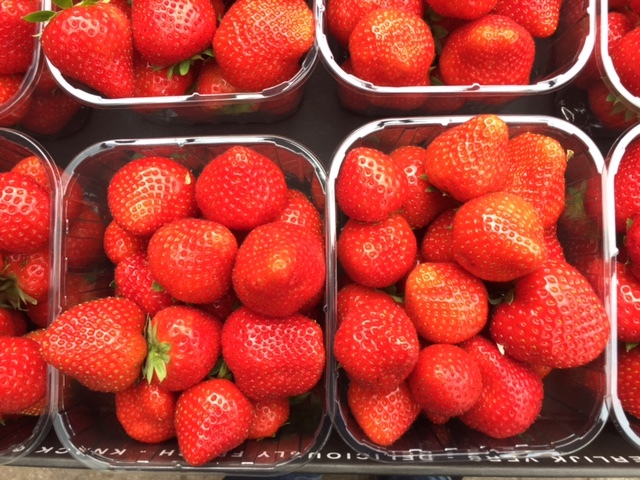 The spring initiated berries can be picked from July onwards. Altess initiates flowers easy but a delay by too strong vegetative growth in the start should be prevented. Fruits of Altess are conical and similar in appearance to fruits of short day varieties like Sonata or Elsanta. The simple plant structure makes the fruit easy to pick. Fully ripe fruits can get a very strong aroma. The best balance between storability and taste is found when berries are picked in the early ripening stage. Berries do not turn dark during warmer conditions or after storage. 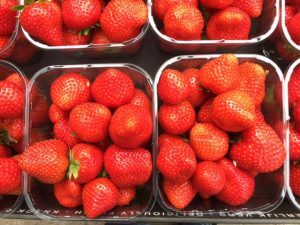 Berries can be used for both direct sales and sales through supermarkets.